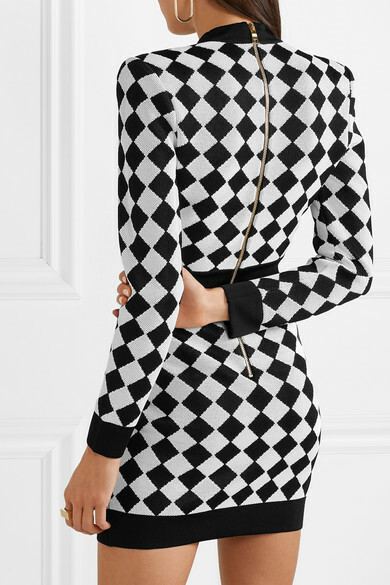 Balmain's Creative Director Olivier Rousteing creates pieces that are designed to accentuate and flatter your figure. 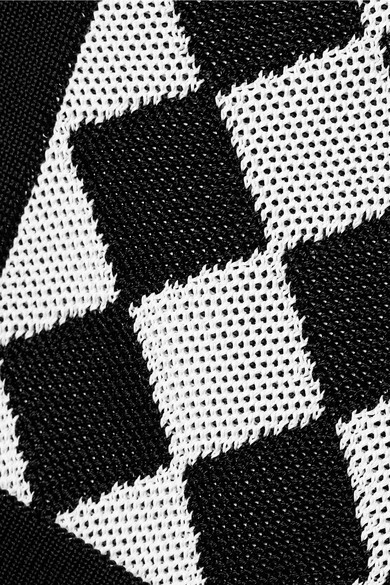 This mini dress is knitted with a diamond intarsia motif and has ribbed trims in the right areas to create the illusion of a narrower frame. Wear it with pumps or heeled sandals. Shown here with: Jimmy Choo Shoulder bag, Christian Louboutin Pumps, Jennifer Fisher Ring, Jennifer Fisher Earrings.